The Jamboree is entirely funded by charitable donations given by friends like yourself. Please choose your donation amount below. A receipt will be sent to your email address. Please contact me to discuss sponsorship opportunities. 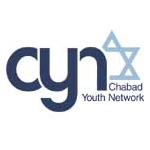 Chabad Youth Network of Florida is registered with the IRS and is a 501(c)3 not-for-profit corporation. All contributions are tax-deductible.